Oase Outdoors: design and produce functional products to the highest standards for outdoor use. 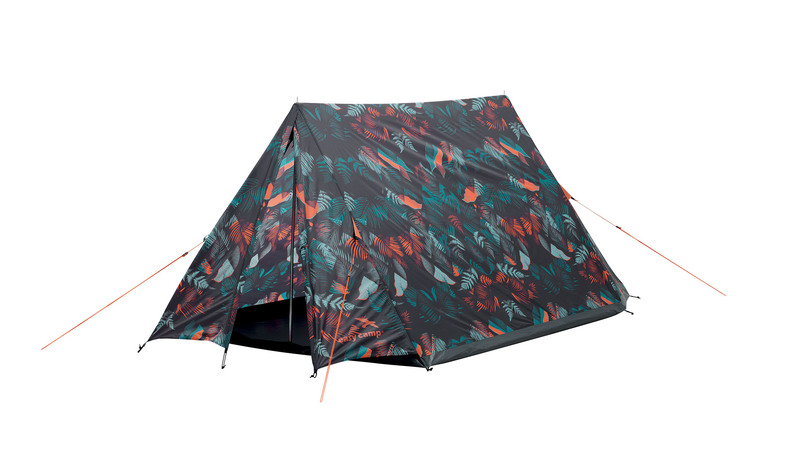 As part of their 3 Brand stratedy Oase Outdoors wanted to celebrate the 20th year of its youngest brand Easycamp: As part of this celebration they wanted to redesign their Carnival range of tents and sleeping bags. These items are aimed at engaging younger customers attending music festivals or taking part in their first outdoor camping experience. The Carnival Range is inspired by the Bohemian spirit, and the experience/emotions of young festival goers and their first outdoor experience. Wild and free, the new customized Illustrated styles are both artistic and unconventional. 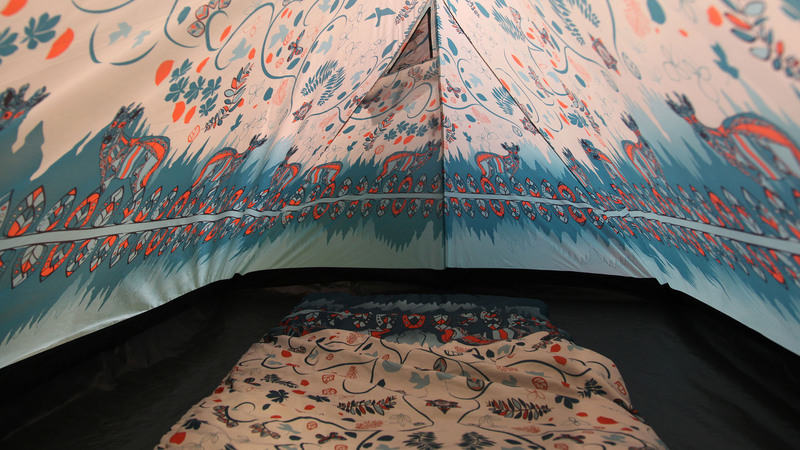 Influenced by music, fashion and art, these tents act like a canvas that creates a special mood/ feeling when inside, created with a passion for detail and the wild adventure of the outdoors. 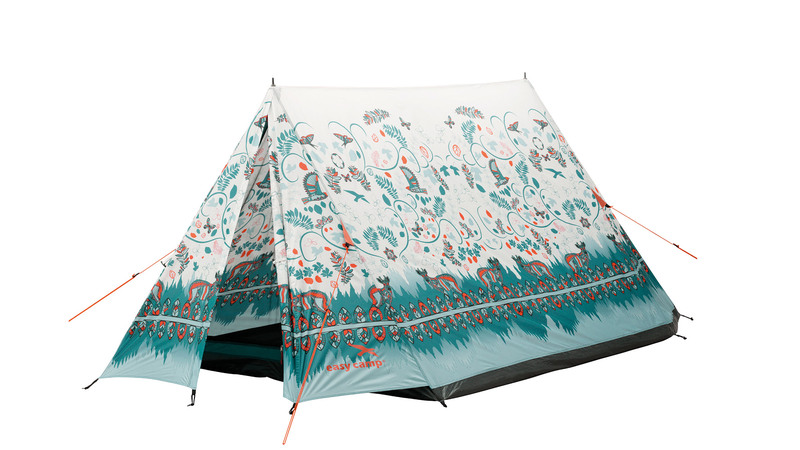 Challenging the standard, this is an engaging range of tents for the festival fan with the wild bohemian at its heart and soul. A fashion focused palette of colours and patterns sends you on a journey dreaming of long summer days and hazy summer nights. One mould was created for both the night and day illustrations and then this was used to print onto a polyester canvas that was used across a range of tents of different sizes, so an extra challenge was to create one repeatable print that could be used across all tents with different shapes and sizes.